Trying to win Pomona for years Steve Wann a.k.a Mr. 413 finally did it and made this his 6th career national event title in Super Stock. 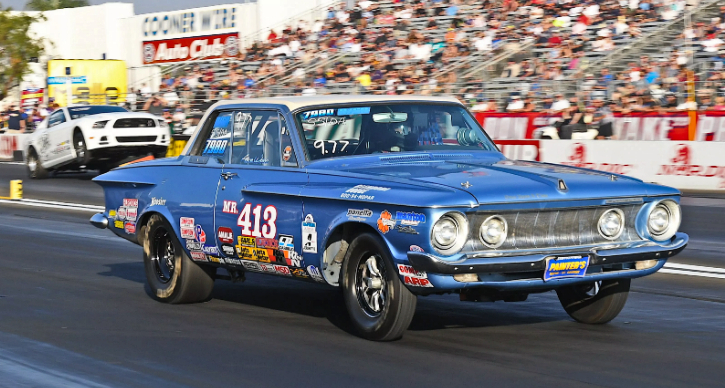 Mr. 413 save his best for last when he lined up with his 1963 Plymouth Sport Fury Super Stock next to Gary Emmons with his Ford Mustang on the final race where Steve did cut a nice light to score a great victory. Check out the NHRA video and don’t forget to hit the Like button below!